What's New in last two weeks! 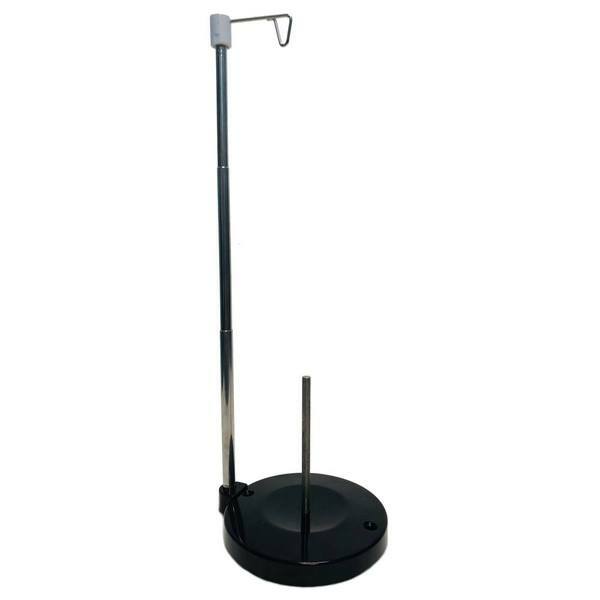 The telescopic stand can be lowered down to 6" or raised all the way up to 15". 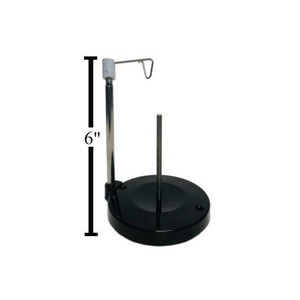 Alphasew's Adjustable Spool Stand is ideal for both sewing and serger machines. 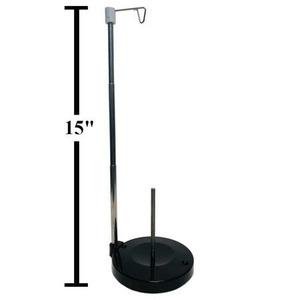 The weighted base will keep your thread from sliding and moving around. From base to tip the spool stand measures 15" and the foundation piece weighs 6.9 oz. For all portable embroidery machines when using any cone threads that do not work on horizontal or vertical spool pins mounted on the machine, causing snags and thread breaks. Prevents thread from catching and breaking on conventional spools, spool pins, spool holders, and thread guides, especially when using cone threads for single needle embroidery machines, which should not be used directly on machine vertical or horizontal spool holders, unless they are designed to, such as Juki TL98, Brother PQ1500S, Janome 1600P, MC6500, MC6600, and multi-needle embroidery machines. Whenever you use any kind of cone shaped thread spools on home embroidery machines, you should put them on a separate vertical spool thread stand* set up on your table to the right of the hand wheel for smooth thread delivery. Putting cone thread on the machine's horizontal or vertical spool pin can cause thread to get caught on the spool, spool pin, thread cap, under the spool, or on the next thread guide. - Holds any size from mini cone to industrial size thread cones. The thread is just really moving really slow and so not enough of it is going on the shirt so almost all the thread on the shirt is the bobbin thread do to the actual thread not being pulled like it should be. Whenever you use any kind of cone shaped thread spools on home embroidery machines, you should put them on a separate vertical spool thread stand* set up on your table to the right of the hand wheel for smooth thread delivery. Putting cone thread on the machine's horizontal or vertical spool pin can cause thread to get caught on the spool, spool pin, thread cap, under the spool, or on the next thread guide. For all portable embroidery machines when using any cone threads that do not work on horizontal or vertical spool pins mounted on the machine, causing snags and thread breaks.